SECLUDED DALE LAKE ESTATES! 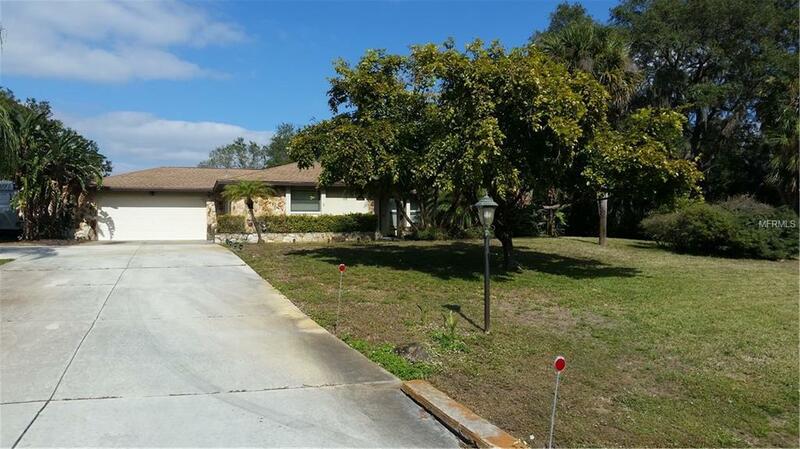 This 2 Bedroom 2 bath pool home is located less than 3 miles from Manasota Beach. The home is located on a beautiful private lot with a dock on Dale Lake allowing access to the inter-coastal waterway by kayak or canoe. The self-cleaned, salt water heated pool is simply waiting for you to enjoy your days in the sun. Dale Lake offers the fisherman the opportunity to catch snapper, snook and tarpon, as well as several other species, right from your own dock. Privacy abounds in this fine neighborhood of homes. The open living concept offers the opportunity for good entertaining tying the inside and outside areas together. The windows have been updated to Low-E, double glass, and the home offers a large indoor laundry area that can double as a walk-in pantry, and provides for large closets in the bedrooms. This home offers the opportunity for expansion with a den or third bedroom under an existing roof off the lanai at the family room. The outside activities would also include a patio with a fire pit for those cozy evenings year-round. Stop by and look at this VALUE PRICED HOME in a very private setting with many amenities that you and your family can enjoy.